I’m delighted to be able to share the brilliant cover produced by Jason Anscomb at Rawshock Design. 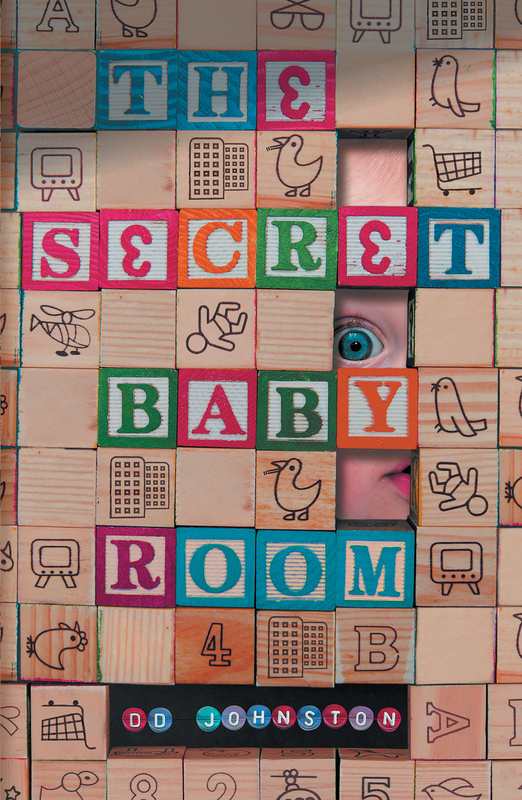 The Secret Baby Room is one of several new books slated for publication by Barbican Press, the indy press that keeps making waves. Recent books include Kate Horsley’s The Monster’s Wife, which was shortlisted for Scottish First Book of the Year. And their new list includes Brian Lavery’s The Headscarf Revolutionaries, which former Deputy Prime Minister John Prescott predicts could become the next Made in Dagenham; Hana Sklenkova’s translation of Martin Vopenka’s The Fifth Dimension (a modern Czech classic that includes meditations on the ideas of Kip Thorne, as made famous by Interstellar); and much more. Visit Barbican’s website for information on forthcoming titles, and remember to pre-order your copy of The Secret Baby Room: order it now and it will arrive, as a surprise, one sunny day in July.